We combine 45 years know-how, in-house production and top-rated service! So you want the right box quickly. 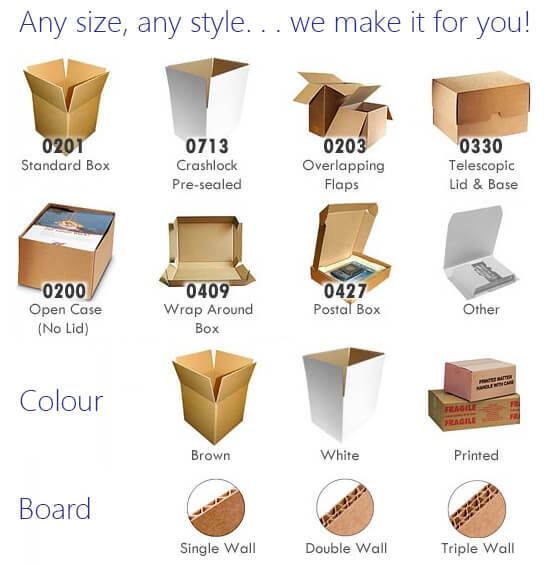 At Davpack we offer a simple and hassle-free way to buy custom cardboard boxes. As well as being the UK's favourite packaging supplier, we have a dedicated custom packaging team, plus in-house box production facilities. Uniquely, only Davpack can specify, design, manufacture and deliver your custom boxes along with your other packaging items. Whether you're a packaging expert or general business manager, we’ll help you to get the right specification box for the job and budget in mind. We work your way, we're happy to talk through your requirements on the phone, or send you a free quote once you've completed our online form. We aim to impress you with our speed of service. When you contact us, we'll specify your custom boxes immediately and within one working day, you will receive your quotation. Once you go ahead, we can dispatch some orders in as little as 48 hours, but normally you'll receive your bespoke boxes the following week (subject to specification), delivered direct to where you need them. Not only do we cut out the middle man by manufacturing many of our boxes in-house, we are big buyers of cardboard packaging. As massive box stockists, we get the best available market rate for corrugated products. This means you don't need to buy more boxes than you can handle in order to get a great price! Even though we carry one of the largest ranges of stock boxes in the UK, there’re always new products coming on to the market that continue to push the boundaries and create the need for bespoke boxes. Many customers invariably end up here after checking our stock box sizes and deciding there’s no alternative but to specify a box made to measure. So, we’ve tried to make it as fast and as easy as possible for you to create your own custom cardboard box. "Just a quick note to thank you for the absolutely fantastic service we have received from your company. We asked for a quotation for a non-standard box and received a very quick response. When we ordered a fairly small quantity for manufacture based on that quotation, the order was processed almost immediately, the custom boxes were made within 5 working days, dispatched, and arrived with us the following day in perfect condition. The box dimensions are perfect, and the quality is excellent. Thanks again for an excellent service, we will be back in touch when we need more, and have no hesitation at all in recommending you to anyone." Phil Williams, SSS Cornwall. For more information or to discuss your requirements, call us on 01332 821200, email us or use our online chat service to speak to one of our friendly customer service team.